Media, like television, radio, newspapers and magazines, has traditionally been a one-way communication tool. There were limited ways of providing your opinion on a topic and as such, this media was as engaging as the options that exist now. Imagine listening to a monologue (or class lecture) and not being able to say a word, share your experience or even publicly agree or disagree – not very appealing IMHO. Social media, on the other hand, is two-way communication – there are many ways of providing your opinion on a topic and even having a dialogue with the author or company. A notable feature of social media is user-generated content (UGC), like what you see in an Amazon review. commoncraft makes great videos that explain concepts using simple analogies. Take a look at this one called Social Media in Plain English. Wiki: aside from the universally known Wikipedia, this is more of a niche-type service (i.e. Logopedia, Tattoos Wiki, My Little Pony wiki). Wiki content can be added or edited by any user within a defined community. Users can see what was changed and who changed it (transparent) and it is relatively easy to use. Companies often use internal wikis for training manuals or when developing owner’s manuals. Wikis are popular with educators developing course material or as a tool to help students collaborate on group assignments. Blog: usually written by one person but can use guest bloggers or a team. Blogs (web logs) are shown in chronological order or grouped by tag/category. They typically include reader comments and relevant links to other sites and, unlike my blog, are updated on a regular basis. WordPress is one of the largest blogging platforms. Twitter is a popular “microblogging” platform where uses tweet using 140 characters or less. Tumblr is a hybrid blogging platform with functionality like WordPress + the ease and shareability of Twitter. Podcast: series of talk-radio style audio files broadcast by an individual but can also use guest speakers or a family of podcasters. Podcasts are typically downloaded to a portable device like an iPod/iPad/MP3 player but also to a computer and then enjoyed. 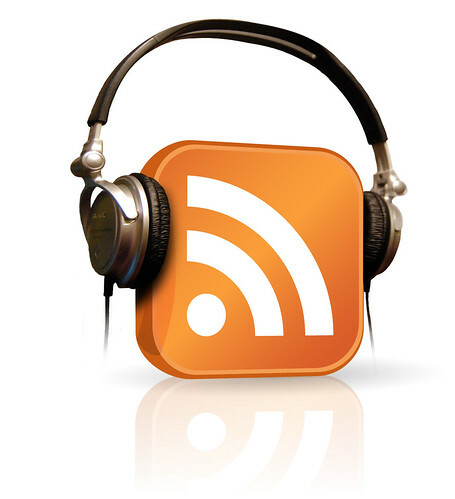 User comments can be posted on the podcast site or even uploaded in the same audio format for comment or response. The world’s most popular political podcast, co-hosted by Chung Bong-ju of South Korea, is called “I’m a Weasel,” or “Naneun Ggomsuda.” It is available on iTunes as are many other popular podcasts and vodcasts (video podcasts). iTunesU is a good source for educational podcasts. Video/Photo Sharing: user-generated videos or photos that are shared on the internet. Sharing is either to the broad community or with select individuals or groups. Content is searchable (YouTube is the #2 search engine in the world, ranking below its owner, Google) which adds to its appeal. Other popular sites include Flickr, Photobucket and more recently, Instagram (Apple only), Yfrog and Twitter’s own pic service (which consequently is killing Twitpic). Collaboration – working together to get something better; using the power of the masses to influence products or pricing. Examples include Groupon and Living Social. Crowdsourcing – getting an undefined and generally large community to do the work that would traditionally be done by a specific internal group. The Vancouver police used crowdsourcing to collect photos of individuals that were rioting after the Canucks lost game seven to Boston. Crowdsourcing can be paid or free. It’s often done when choosing designs/layouts or developing new products. Examples include Coca-Cola-owned Glaceau brand vitaminwater back in 2009 and Get.com. Crowdfunding gets a large pool of people to contribute smaller funds. Examples include Kickstarter and IndieGoGo. Obama is pushing the American Job Act, which may help crowdsourced entrepreneurship and Ron Howard even made a crowdsourced film called When You Find Me with Canon’s assistance. Social Sharing – what’s been done by others (individuals or organizations) or user-generated content. YouTube and Flickr are well-known social sharing sites. Pinterest (virtual pinboard) is gaining a large following by women and Bambuser is becoming a useful live-streaming video service. Blogs/Forums/News Sites – allow users to make informed decisions; to be “in the know” and to comment on news items, often before the major traditional media outlets are even aware that the news item occurred! HuffingtonPost, TMZ, BusinessInsider, Mashable are but a few examples. Bookmarking – saving, tagging and sharing website links with others. The more a site is bookmarked, the higher it will rank on the search engines (popularity contest). Adobe has a series of corporate and related links on Delicious. Other popular sites include Twitter, digg, StumbleUpon, reddit, tweetmeme, fark, and Google Bookmarks. Is social media big? No blog post would be complete without the requisite link or reference to the highly viral Social Media Revolution video which clearly shows the importance of social media. BTW – Four Seasons Hotels and Resorts is leveraging social media in their new website – how many social media services are they using?